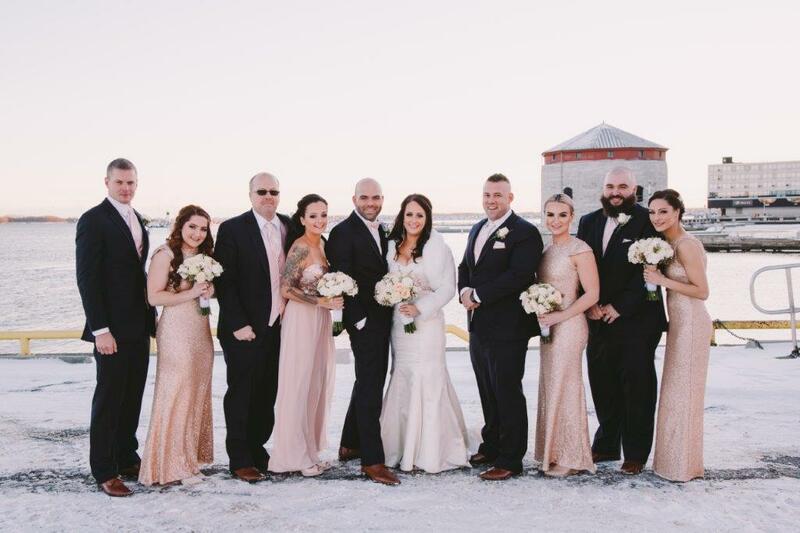 The Inspiration: My wedding took place December 16th, 2017. 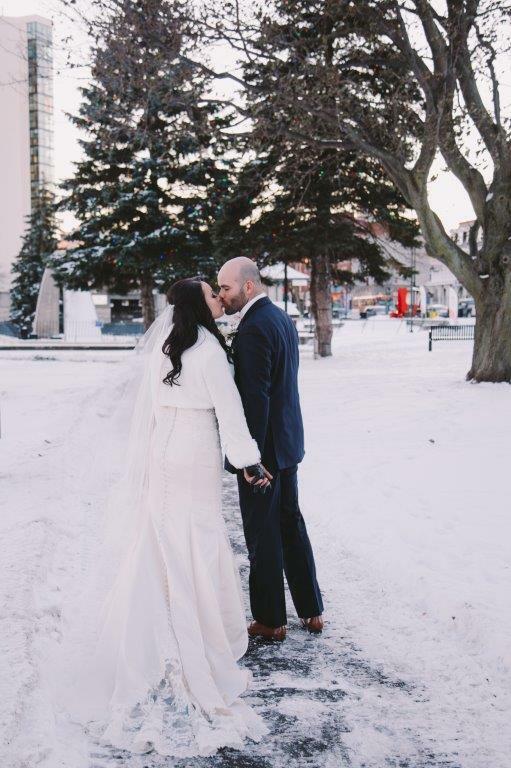 As it was winter/Christmas I decided on a glam inspired winter wedding. 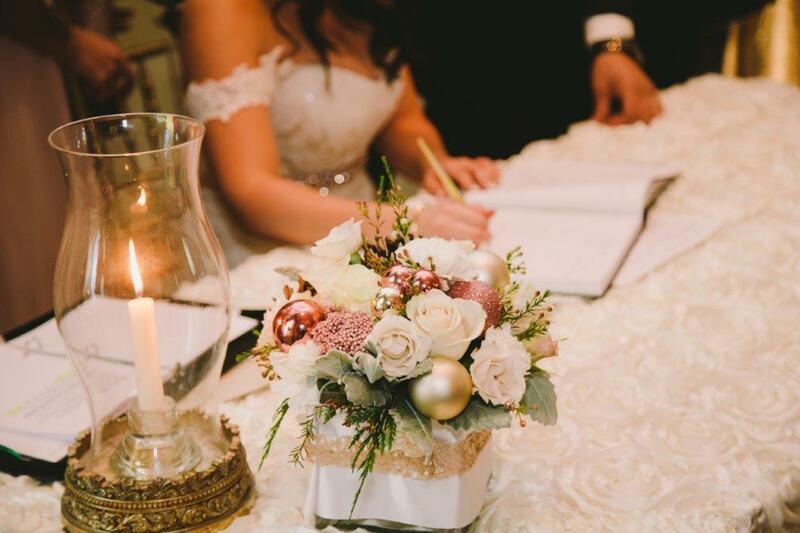 I love how sparkly everything is at Christmas and how that would look in photos so it gave me a lot of inspiration for my big day. 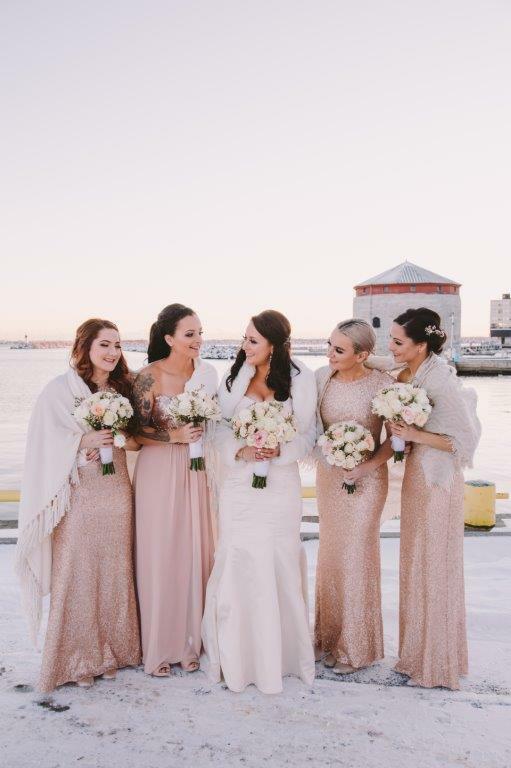 Every girl loves sparkle (or at least I think they do haha), so I decided my bridesmaids would be wearing sequin, rose gold, dresses. Along with the rose gold, I chose accents of gold and blush. 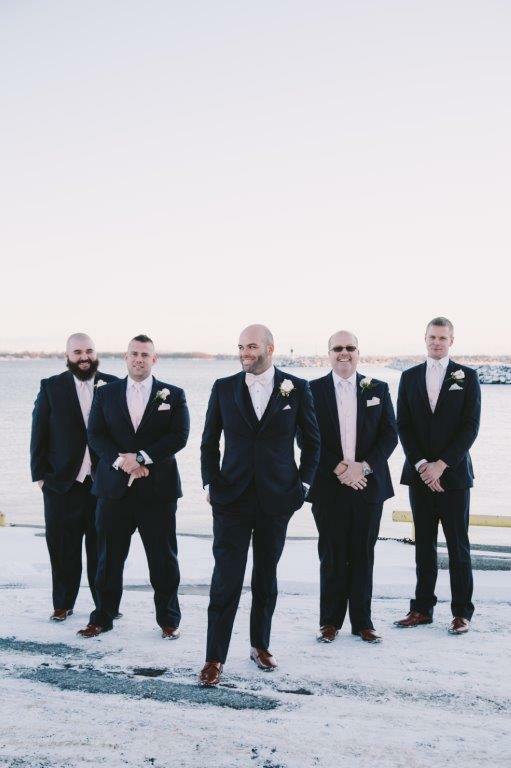 The groomsmen had navy blue tux’s and blush ties/pocket squares. 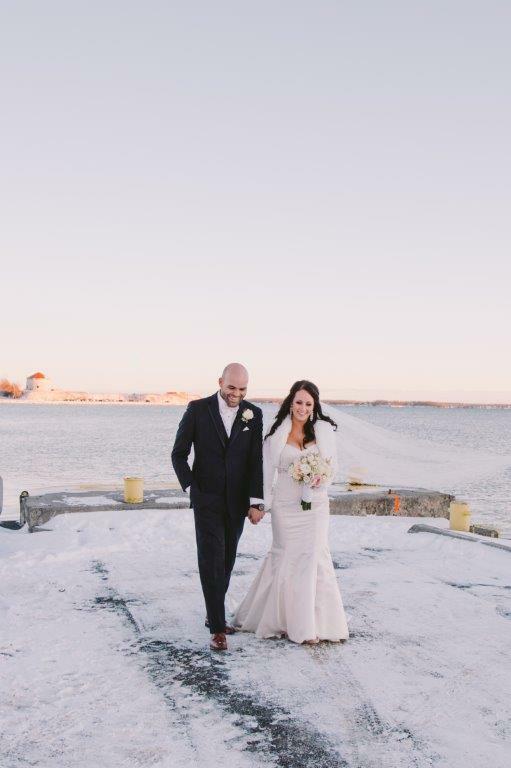 Having a winter wedding did limit us in event spaces, originally I was going to have a summer wedding and had booked my venue in Prince Edward county at a vineyard. 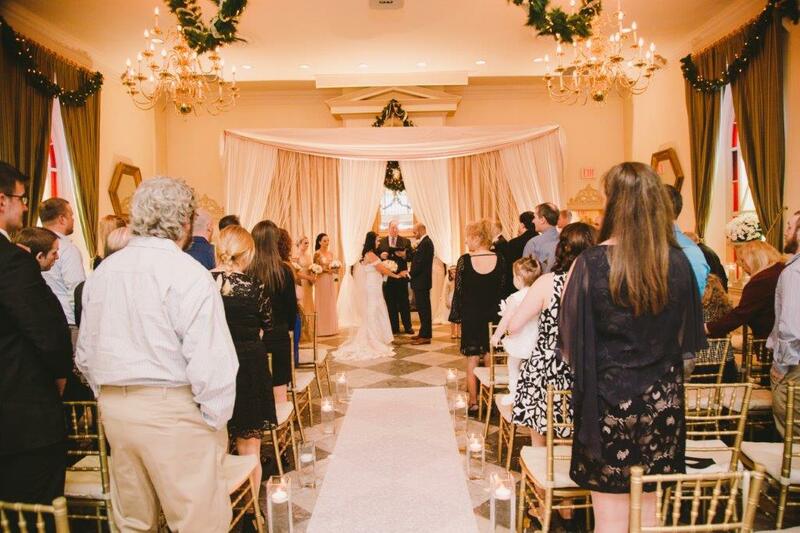 As plans had to change I knew exactly where I wanted to have my wedding-The Renaissance. I had been to a wedding there years ago and absolutely loved the venue. It was perfect because the chairs are gold and most of the accents in the venue are gold, so it went impeccably with my vision. 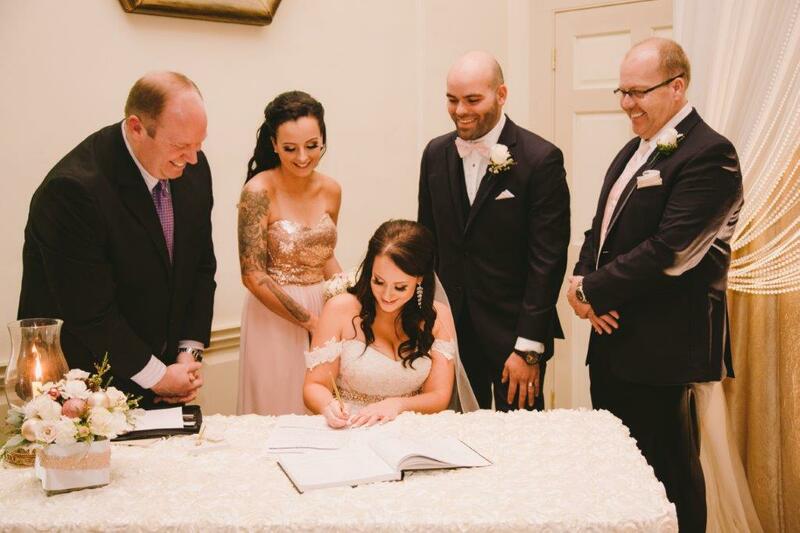 Having worked in the wedding industry (bridal makeup and selling Lovebird dresses), helped me to know exactly what I wanted and didn’t want. I was blown away when I got to see everything for the first time, it was exactly how I had imagined it. 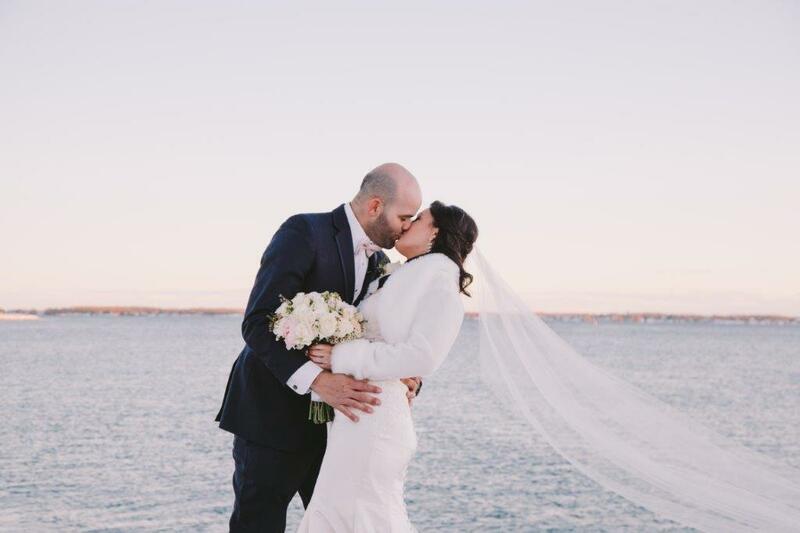 I got to have the wedding of my dreams and couldn’t have been more happy with the end result. Moments to Remember: My favourite memory had to be when I walked down the aisle. I could see my son and soon to be husband standing at the end waiting for me. It truly was the most surreal feeling in the world. I loved every minute of it and had never been so happy in my life. A couple things that did not go as expected; my hair! I hated the way the hair dresser did my hair, although he was extremely talented, and highly recommended, the look just wasn’t for me. He ended up spending over three hours on it and we had to completely change it last minute. 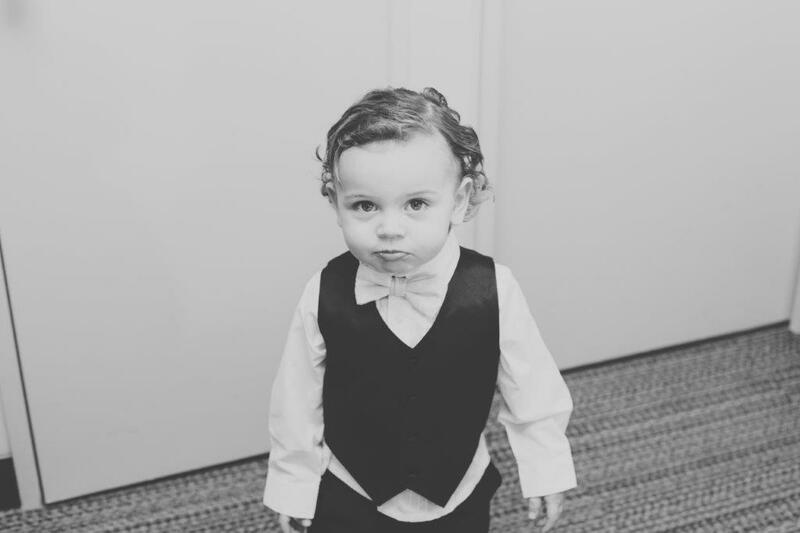 I was late for my wedding and the photos all had to get moved back. SOOOOO stressful. 1. 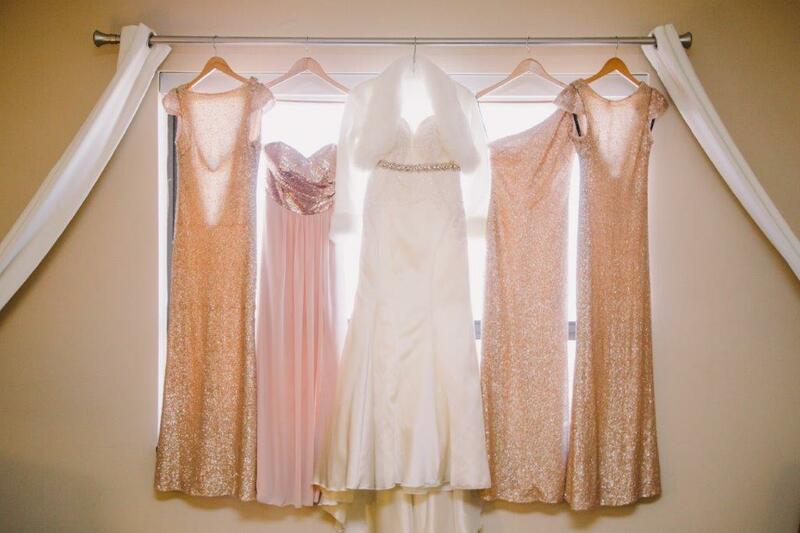 Get your dress and bridesmaids dresses well in advanced - as my wedding date was significantly moved up I had to get the bridesmaids dresses last minute. Certain styles we couldn’t get in and there was a rush fee. 2. Shop around for prices; I had three different quotes for my flowers. 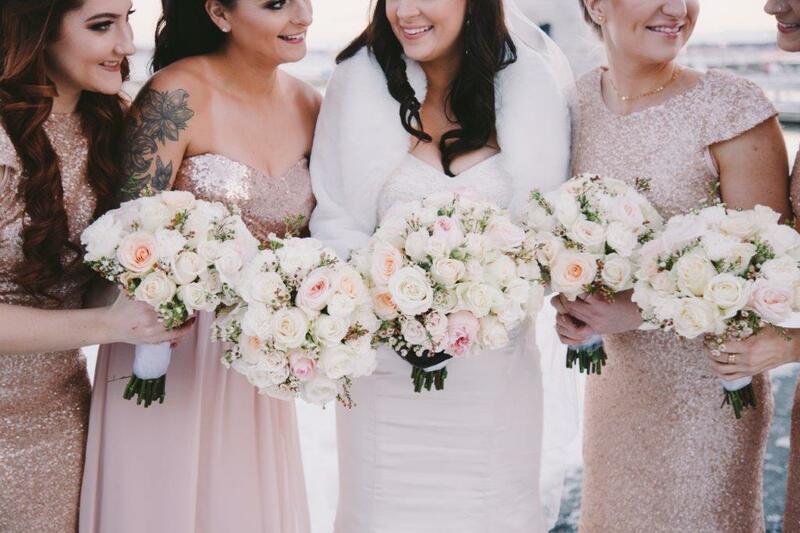 One place priced my bouquet at $590, for the exact same flowers and look I ended up paying less than half of that. 3. 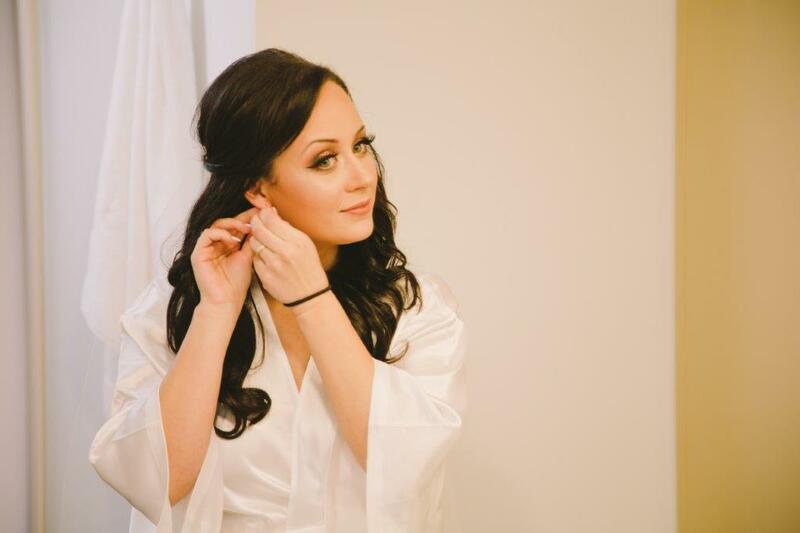 Plan your photos according to what you want captured on your day; When people say it goes fast they are not kidding. I wish I had more photos with my whole family and friends but we ran out of time.